An ongoing shortage of nurses is a major issue that grips the health care sector. Washington State is expected to experience a shortfall of nearly 3,793 nurses by 2020, according to the University Of Washington School Of Medicine. With approximately 68,700 licensed registered nurses in the state, nursing form the largest segment of the health care workforce. A number of converging factors affect the sector’s ability to produce, recruit, and retain registered nurses, including the aging and retiring workforce, the state’s population growth, greater access to health care by previously uninsured individuals, increasing rates of chronic diseases, and the inability of educational programs to accommodate new students. One of the fastest ways to boost the workforce is to quickly inject incoming nurses. Graduates of associate’s degree programs can complete the educational requirements for taking the NCLEX for registered nurses in just two years. Many RNs enter the workforce with this minimal training. However, as the state seeks better educated and more diverse RNs, nurses are expected to return to school to achieve a bachelor’s degree in nursing at the very minimum. Budgetary allocations have been implemented to transform the profession by increasing the percentage of nurses with a BSN or higher to 80 percent in accordance with a recommendation from an Institute of Medicine (IOM) report. The Washington Center for Nursing urges nurses to pursue the BSN early in their careers to help position them to become educators later on. An early track to the BSN will also provide for a longer and more fulfilling career, especially for nurses who prefer to work in a hospital setting. For a number of key reasons, hospital employers seek out graduates with a BSN or higher to fill vacant positions. Although there are numerous noteworthy nursing programs throughout the state, some even offering seamless transfers from the associate to bachelor’s degree, admission may be selective. In an effort to accommodate the flood of nurses seeking to upgrade their degrees, many RN-BSN programs use online teaching methods to eliminate long wait lists. This teaching format is also suitable for nurses who will be able to complete their studies in a way that best suit their lifestyles. Nurses living and working in rural communities will also have greater access to education by completing the bulk of their studies in the comfort of their own homes. The BSN degree is the future of nursing. RNs who choose to pursue this path not only demonstrate their commitment to the profession but also their determination to acquire the skills needed to make a positive change in the lives of the patients they serve. Nurses who take the time to earn a bachelor’s degree experience a world of rewarding career opportunities. They will have a broader perspective of the profession and their role in patient care that will complement a genuine desire to care for others. The prevalence of chronic illnesses, intensity of diseases, and public awareness of what constitutes proper care all demand that health professionals, and nurses in particular, have the clinical skills, leadership, and judgment to deliver quality care. 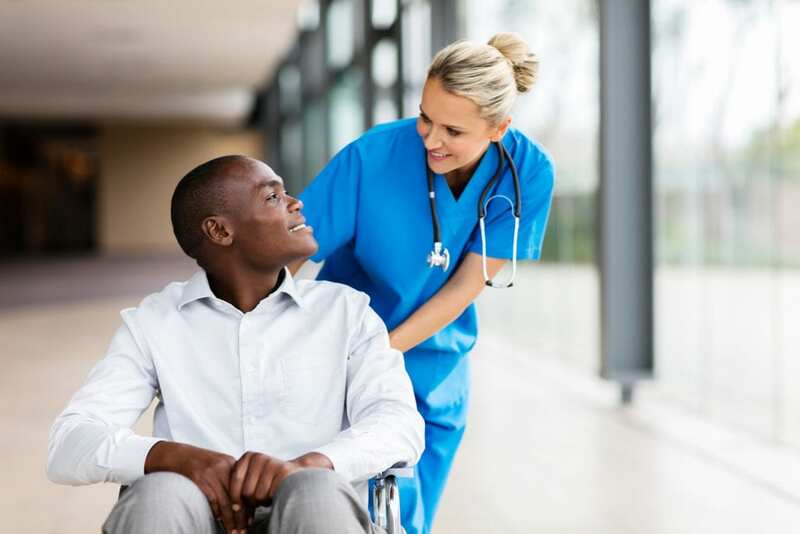 Employers know that nurses with a bachelor’s degree or higher help to boost positive patient care outcomes due to the nurses’ ability to take on a broader scope of practice. Nursing as a profession is broad and dynamic. A nurse can practice in an entry-level clinical setting today and specialize in another area of care tomorrow. From the onset, nursing is a commitment to lifelong learning. Those to advance beyond the diploma or associate’s degree are well-placed to take on supervisory roles, train for various specialties, become a nurse educator, or even take up advanced practice after further study. Although employers will hire an associate’s degree graduate to fill vacant roles, they will only hire a BSN prepared nurse to fill key roles within the organization. Additionally, hospital administrators are noted for hiring only BSN RNs. The demand for advanced practice nurses in Washington is even greater than the demand for registered nurses. Primary care is in a crisis, and advanced practice nurses can help with the delivery of primary care in medically underserved areas. The BSN education provides a solid foundation for the commencement of graduate study at the masters or doctoral level. 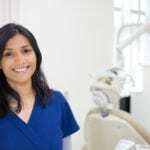 There may be programs specifically designed to enable an associate’s degree RN to commence graduate study, but the majority of programs require a bachelor’s degree at minimum. With a graduate degree and certification in an area of specialty, nurses can obtain a license for advanced practice and serve in communities where there’s a shortage of primary care physicians. The graduate also has the option to become a nurse educator, part-time or full-time, to help alleviate the shortage of qualified faculty. BSN nurses earn more. A comparison of salaries of experienced ADN and BSN nurses show that those with a bachelor’s degree consistently earn more. At the entry-level, salary comparisons reveal equal pay, which can cause many nurses to question the validity of two years of additional study. However, with time and experience, BSN nurses earn their employers’ confidence and get the compensation they deserve. The difference in salary could be as much as 25% more annually. A comparison of employment rate also demonstrates that BSN nurses have a greater rate of employment than ADN nurses – simply because employers are more likely to choose the nurse with the higher degree. Hospitals taken in with the American Nurses Association’s Magnet Recognition Program have little choice but to have a well-educated nursing workforce. Membership requirements demand that a percentage (the majority) of the workforce have a bachelor’s degree or higher to improve the delivery of care and positive patient outcomes. Hospitals with ADN nurses on staff will, more than likely, require existing nurses to return to school to get a BSN degree. If you’re short on time or money, an associate’s degree provides a fast-track to registered nursing. However, the degree must be seen as a stepping stone to the bachelor’s degree and a rewarding career in the profession. As the IOM and other organizations call for a more educated workforce, the entry-level requirement will soon change. Those who are already practicing with an associate’s degree will also be affected as employers heed the call. Enrolling in an RN-BSN will put you ahead of future changes and enrich your life and practice as you graduate to the next level of patient care. Graduates of a BSN program are better able to meet the complex care needs of patients thus improving positive patient care outcomes. The RN-BSN program is so designed to facilitate registered nurses seeking to advance their knowledge, develop their leadership potentials, and enhance their clinical skills. The convenient online learning format allows nurses who are managing a career with family life to complete the program on their own terms. Students will have to complete at least 30 to 45 credits of coursework to meet the requirements for a bachelor’s degree. The curriculum will build on the RN education and includes areas of study such as informatics, leadership, ethics, research, management, mental health, community health, nursing concepts, and an advanced clinical practicum comprising of 80 or more hours. The practicum will take place in a variety of clinical sites and will require a registered nurse license. Students will benefit from working directly with community partners to develop their critical thinking skills as part of an interdisciplinary team. Offered in traditional and online learning formats, students can complete the program part-time in one to two years. An active, unencumbered RN license in the state of Washington. At least semester credit hours from an accredited program or a transferable ADN degree or bachelor’s degree. A cumulative GPA of 3.0 or above on college coursework. Prerequisite courses with a 3.0 or higher. Program costs vary. A Washington resident enrolled in a full-time RN-BSN program can expect to pay $4,941 per semester. Part-time tuition costs $497 per credit. Other costs include books, course fees, clinical placement fee, transfer fee, CPR/First Aid, national background check, immunizations, name badge, liability insurance, graduation fees, drug screen, and nursing pin.